Based on novel "Flowers for Algernon" by Daniel Keyes (first published April 1959 in The Magazine of Fantasy & Science Fiction). Justafan Nov 04 2018 1:51 am Ugh, yamapi acting here was pretty bad like usual.. 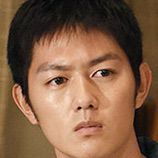 In the 1st half he was bearable, but once he became smart he was back to his acting style, emotionless and "cool". The overall story also weird, so in the end yamapi character become smart just to help a girl become healthy, which was a let down to me. The overall pace was slow and i feel bored most of the time and eventually i skipped into the ending which was even worse.. Other actors was ok but nothing special. Overall, i feel that i wasted 10 hours of my life watching this because a lot ppl in the comment section over rated this drama. Score 4/10. KDLove Oct 31 2018 2:12 pm This drama is so beautiful. It makes you think a lot in many topics. I like all of the characters especially Sakuto. He is so pure and beautiful TT TT The actor portraying Sakuto did a really amazing job. You make me cry a lot. Thank you for making this amazing story^^ Really Recommend to watch!!! tsuyoi_hikari Apr 18 2017 10:50 pm 9.5/10 - I know Nojima Shinji is a great writer but I think he exceeded my expectation with this drama. I remember loving the Korean version so much back then but I didnt remember it was complicated and layered like the way this drama was written (Bear in mind the Korean version has 16 episodes but has less side characters and side stories). The script is very strong and perhaps the best written Jdrama that I have come across in recent years (and yes, I have watched like gazillion dramas lol). The script is very thought-provoking and deep and I'm actually surprised that all these amazing dialogs keeps popping up in each episode. Nojima Shinji has always love to touch the darkest subjects of human nature in his dramas and he did exceptionally well in here. Sometimes, you will find dramas that made you think something that you never realize before or see something from the other side of the view and this drama has plenty of that moments. Yamapi did great in this role. I always admire that he's willing to shed his image and play this challenging type of role once in a while. He was convincing as a disable person and also convincing as a genius. I think I practically cried my whole way through the last 2 episodes lol. jaybee yo Mar 05 2017 6:56 pm this drama makes you cry. the kind of sadness that i felt at the last episodes is different from other stories! i cant describe it! Great story. Dont watch this drama if you are not ready to feel what i felt. HACHI Aug 24 2016 5:27 am This may just be me but in this I feel like yamashita and TOP from Big Bang looked really similar. Like the air as well as the looks and behaviour. You would know if you're a top fan. :/ well whatever. Loved the drama though!!!!! AH THE MELANCHOLY FEELS. aki Aug 01 2016 4:15 am I think Kubota-kun should have played sakuto. He will nail it. Seriously, the role is too much for yamapi-kun to handle. abaddon Aug 01 2016 2:44 am hands down to masataka kubota's acting skills, I've only seen his 2 dramas (death note). A versatile actor who is excellent to whatever role given to him. Yamapi looks ridiculous every time he cries, i cant feel him. I like Yamapi though there is plenty room for improvement. Abadi Jul 21 2016 11:45 am I'm in love with the glass building acting as the lab. Anybody know what building it is & where? Those stairs are insanely sublime! ruka Jul 19 2016 8:14 am I think Yamapi did decent job here. He show pure child smile and arrogant smart guy. He still stiff in some part but for me his acting is decent enough and its not easy character. Kubota is good actor in other works..but this one sometimes he's too overacted. Its annoying. But overall he did good too. but overall the briliant goes to the one play hachisuka sensei. I love this and all the cast. I cried a lot. @ dan and summer?same person? Hater? I only drama watcher and enjoying dramas. not a Yamapi fans too. But some people were too much. He's not the best but not deserve to be called worst. I watched a lot dramas/movies since long and I can say there are many worse actor than him. and since when to be pretty and handsome is bad thing?its mystery though, how he looks the same, not change and remain handsome all these years. but he's been in industry for long, not always good. Its between hit or miss for him. I think he did pretty good in his other projects and even some his dramas are popular and high rating which not easy in Japan, right? ruka Jul 19 2016 7:42 am I think yamapi did decent job in this one. He can show the pure child smile also the arrogant smart adult guy. He is still stiff in some parts but its decent enough because its such difficult character. 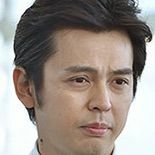 Kubota is good actor but also not always good. He is sometimes overacted and it annoy me. but overall good too. Kudo and Kuriyama is love. 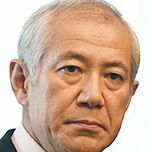 The one play sensei hachisuka is briliant. I love this series and all the cast. I cried a lot. @ Dan and summer? Are you kubota fans or just yamapi hater only wrote few hate comments in different names/account? If love kubota, watch his leading dramas/movies, no need irrelevant hate comments I only drama watcher and not a Yamapi fans. but even that i think some people were too much. 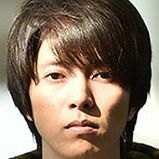 he not deserve to be called "worst" (many actors worse than him esp the young actors now who only play shojo live action everytimes and yamapi did pretty good job in his other projects) Its mystery how his face not change, remain same pretty all this years though, so no comment about this. I also think his strong point is his face. but he's been in the industry for longer years,not always good actor, it is like hit or miss for him, some good and some bad. Even some his dramas are popular and high ratings which is not easy in Japan, right? I heard he's still one of most popular actor there. Luffy Jul 04 2016 10:02 am I thought this was a great drama! I did notice a lot of holes (and I mean A LOT) in Yamapi's acting. He's not the best. 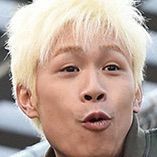 I think, to be honest, Kubota Masataka would have pulled his role of better because OH MY LORD, Kubota can act!!! He's brilliant in this series, and in every other role I've seen him in! He's so underrated! I thought Kudo Asuka was also phenomenal! 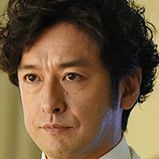 They really blew me away, and I found myself, by the end, watching more for their character's than for Sakuto (Charly). I liked the adaptation. Obviously, it wasn't strict to the book, which I didn't hate. If there is one thing I really wish was different, it would be the lead role. I mean, there's sooooo many better actors! I wish they had someone like Sato Takeru or Miura Haruma play Sakuto. Then I could have given this a full 5 stars, as opposed to the 3.5 I'm giving right now. Violet Apr 03 2016 4:47 pm A wonderful, moving drama! It brought me to tears but I enjoyed it so much. All actors were great, especially Yamapi and Kudo Asuka <3 Great work, really enjoyed it. While I don't think anyone will ever confuse Yamashita for Toshiro Mifune, he's fine... in certain roles. While I did enjoy the series, I can't help but think it'd have been better if they had a better actor in the lead role. Someone like Kengo Kora, perhaps. Playing a mentally challenged person convincingly has to be one of the hardest things to do. 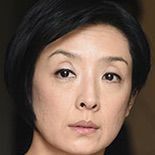 You have to be a very good actor to do it and, well, Yamashita isn't that. Bluesky Jan 08 2016 6:32 pm Yamapi has gotten to be the best actor. I cryed in every ep. So emotional, very touched. Love him so much. I have changed my life when I watch this drama. 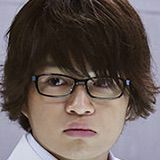 Dan Dec 27 2015 2:37 pm Yamashita Tomohisa has gotta be the worst actor to have ever walked the earth. He ruined this show for me and he ruined the novel! That handsome face of his is the only asset he has, I just want to kick it in. He needs to give his roles to people who can actually act! 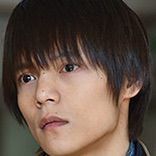 Summer Dec 27 2015 2:33 pm Yamashita Tomohisa has gotta be the worst actor to have ever walked the earth. He ruined this show for me and he ruined the novel! That handsome face of his is the only asset he has, I just want to kick it in. Summer Dec 27 2015 2:23 pm Masataka Kubota entirely stole this show from that clueless pretty face named Yamashita Tomohisa, the latter can't act if his life depended on it. dai Dec 12 2015 10:16 am the first few episodes and part of the last episode is the one worth seeing. thats the part when yamapi shown a great acting skills by acting as a mentally-disabled person. the rest were just him in his usual boring and plain cool guy. it dragged for so many episodes and maybe thats the reason subbers stop subbing the drama after the 8th episode. maryxiah Aug 07 2015 8:28 pm Well, where to begin. I've only been watching up to episode 5, couldn't bear to watch more because 1. it has ended but not fully subbed. 2. the heartbreaks all around breaks my heart. First of all, I have to give it to the writing, it's solid and neat. I've watched the Korean version, and while I loved it, it's a bit lacking on the plot, they focused too much on the romance. This version however focused more on Sakuto's struggles and fears living in a world where the mentally challenged are looked down upon and inferior to everyone. 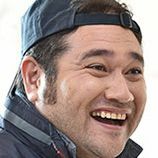 Sakuto honestly only wanted to be loved and accepted, especially by his mother who hates him for his disability, and his friends whom he genuinely fond of. He wasn't able to be equal with his friends because he couldn't understand them, not that they meant anything bad by it, but they certainly invoke his sense of insecurity for being stupid. And then, there is his crush-turned-love, Haruka. I'm not fully convince he loves her as a woman, I think Haruka was right in thinking that he fell for her because he yearned for a mother's love and he misunderstood her as algernon's mother in the beginning. While I feel for his heartbreak, I couldn't genuinely root for him and Haruka for that reason. 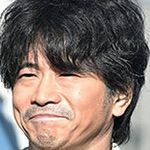 I preferred him with Rio, though I do think Sakuto was right in his analyze that Rio wanted a fairytale love and a childlike man, which she found in the old Sakuto, yet I feel she loves him just the same even when he changed. It breaks my heart when he rejected her coldly, same goes when his mother was terrified by his sudden visit. I haven't been watching jdrama in almost 10 years and this is definitely a good one to start again. Highly recommends this. SyahDin Jun 11 2015 2:56 pm this is a really good drama...sakuto is so sweet and cute and haruka is just beautiful. they look so good together and such a nice storyline too. 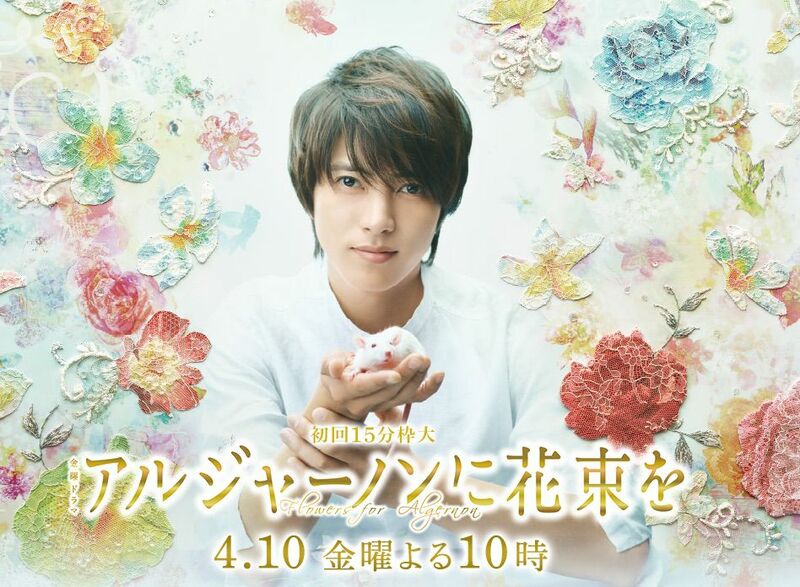 rae Jun 02 2015 7:05 am its really good dorama~ yamapi!! !